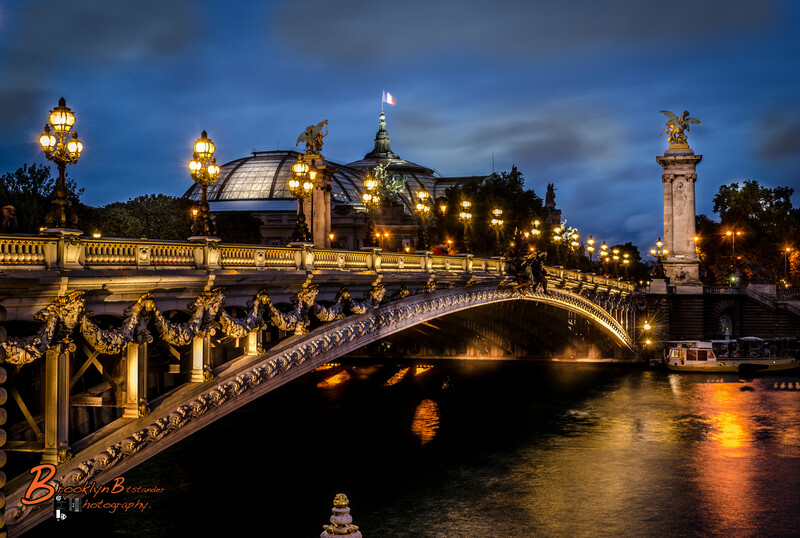 The Pont Alexandre III is an arch bridge that spans the Seine, connecting the Champs-Élysées quarter and the Invalides and Eiffel Tower quarter, widely regarded as the most ornate, extravagant bridge in Paris. It is classified as a historical monument. This entry was posted in Photography and tagged arch bridge, architecture, bridge, colour, digital, France, going on holiday, Lightroom, Paris, Photography, pont alexandre iii, The Pont Alexandre. Bookmark the permalink. My wife’s Parents are in Berlin at the moment, Its on my list to visit and take Photographs maybe next holiday ? Paris brought out the best in your photography. This series has some of the best you’ve posted. . Thank you a great capture and no noise so you obviously had a sophisticated camera? O r a tripod!